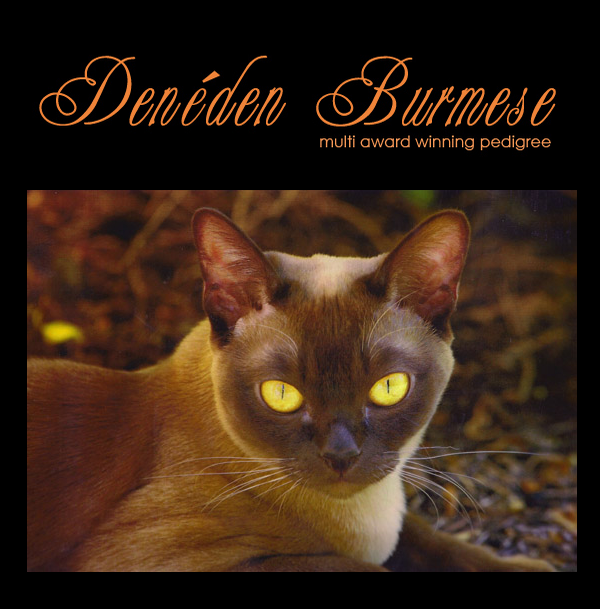 Deneden Burmese is a small quality breeder of solid colour Burmese cats located on the Sunshine Coast of Queensland, Australia. 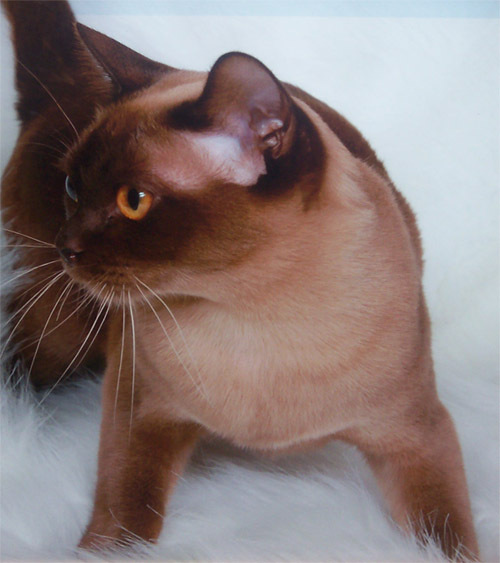 We have multiple awards to our credit, and a reputation for breeding some of the finest Burmese cats in Australia. All babies are raised in my home with lots of love and cuddles. 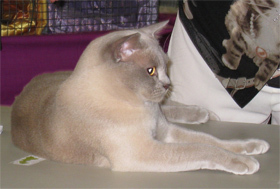 Kittens are usually available for pet, show or breeding. A Burmese is love on four feet. The monkey who will climb anything then look down on you and say "Aren't I clever"? A Burmese will climb your legs, jump on your back - or your front - and twine around your neck whispering sweet nothings, not to mention having the odd nibble of your ear. 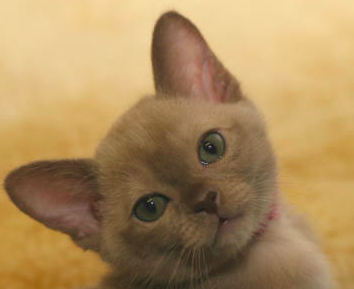 As Kittens, Burmese are quite lively. They often seem clumsy when they attempt feats beyond their capabilities and land on their rears with solid little thumps. They will be playful well into adulthood. As Burmese grow, their high intelligence emerges and their own individual personalities start to unfold. Burmese converse with their humans, using soft sweet voices (they are neither loud nor raucous). They are good with children, will tolerate the family dog, and if introduced to it at an early age as something pleasant, most will enjoy travelling in a car.